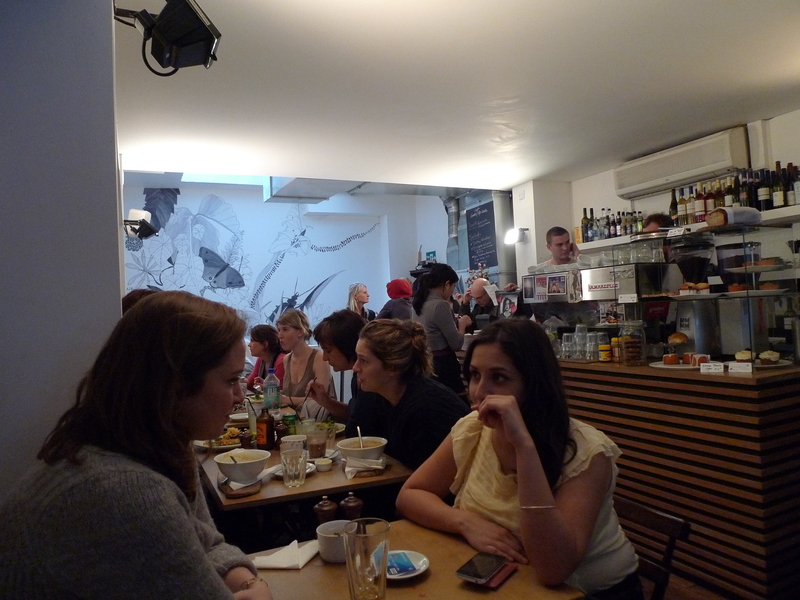 Continuing my search for the best coffee shop in central London, I popped into Lantana Cafe on Friday lunchtime for a coffee. I should caveat this post by saying that LOADS of people have raved to me about Lantana. I’ve heard the food is great and since I went a number of people – including people who do coffee for a living – have told me I was wrong and need t0 go back. But I have to stick to what I’m looking for in this search which is delicious coffee that picks you up from your crappy /stressful day and makes you smile, with a nice little kick of energy. A coffee shop that is warm and welcoming and happy to accomodate you and your friends, or you on your own with your laptop or book and a bit of time to while away. 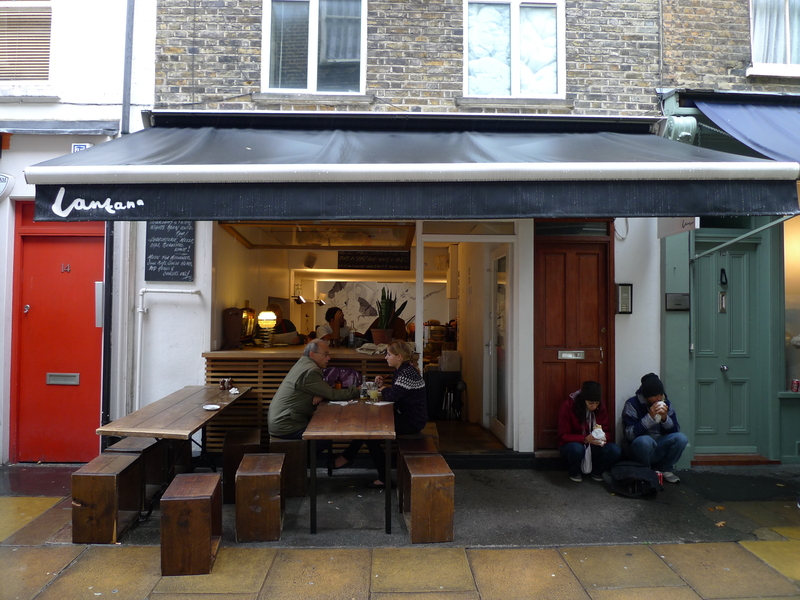 Lantana is an antipodean cafe and as I loved the cafe culture last time I was in Sydney (although I think its Melbourne-run), I was looking forward to seeing how the Aussies had livened up the London coffee “scene”. The beans are a mix of “Guatemalian” [sic], Brazilian and Ethiopean and the coffee certainly looks pretty with a cute little tree-shaped milky bit (would have looked much better in the photo had I not dunked a great lump of sugar in it beforehand). I ordered a flat white, my new coffee of choice. But I was disappointed – first of all it was luke warm, not hot – so not a coffee that can be cradled and enjoyed slowly. Then it was seriously creamy but with no “hit” of caffeine (I need my hit, man) – although maybe I should have ordered a double shot. 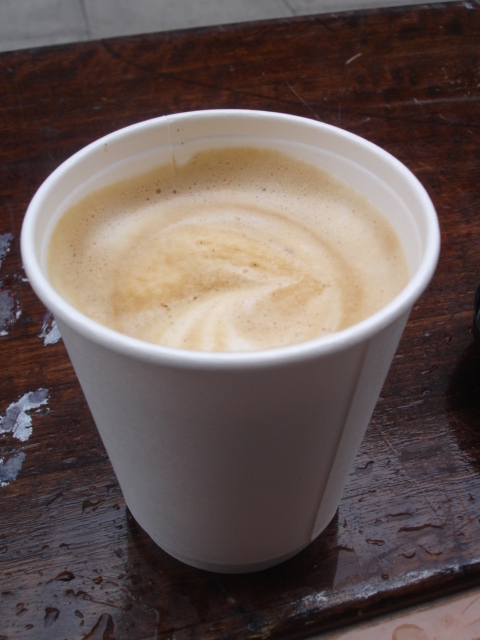 And it was £2.40 – most expensive coffee on my search yet. Also, I was one of the only people on my own and I felt like a loser. Especially because I was taking pictures of the coffee. 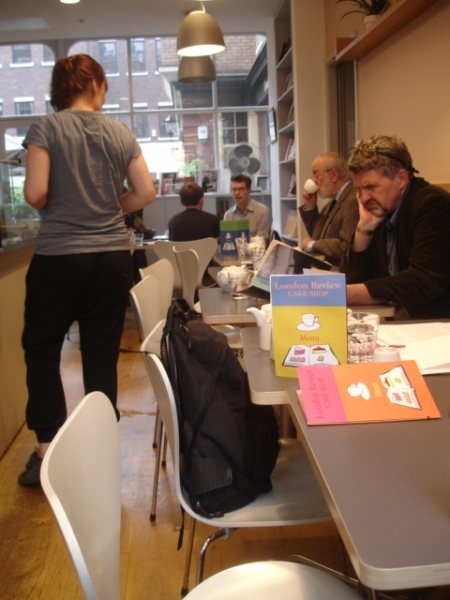 It was lunchtime so maybe that’s why, but coffee shops should be friendly and welcoming to waifs and strays and invite you to hang around as long as you want. Saying that, I will definitely be back for brunch or lunch and maybe a coffee in the afternoon when its quieter. My pick of the coffee places so far? Wild & Wood. Although the London Review Bookshop Cafe is a lovely relaxing little cafe, the coffee is amazing in W&W (Monmouth coffee) and had me buzzing all afternoon, and it’s gorgeous and accomodating inside. 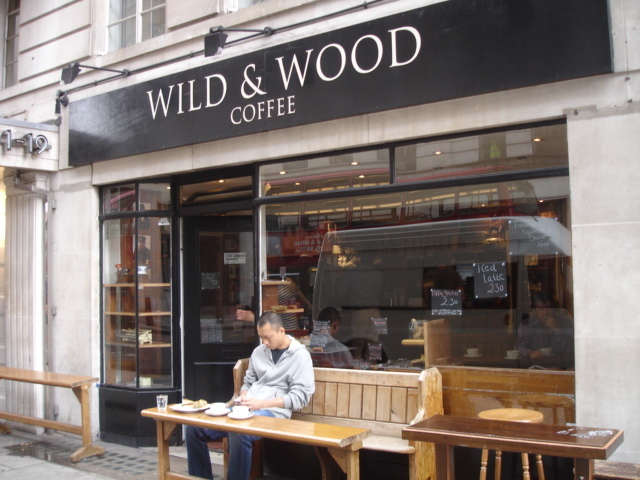 Continuing my search for the best coffee shop in central London, I stumbled across Wild & Wood on New Oxford Street and I think it may have jumped to the top of my list already. The coffee is Monmouth coffee, changing every week and this week it was Guatemalan (which I’ve discovered I like mucho). Inside, its all cakes, wooden panelling, church pews and “please share tables” which makes for a friendly, relaxed atmosphere, and the pictures and movies are all 50s style. A few minutes walk from Tottenham Court Road and its a little bit of Central London peace and quiet. I was solo on this trip and took my coffee to go, but the next time I’d love to stay and hang out longer – its the sort of place I’m sure you could while away the time with a book and some coffee. I also felt ridiculous taking photos on my own in this little coffee shop which reminded me that blogging is much more fun with friends – plus I can pretend that I’m taking photos of them or just reeeeally enthusiastic about the coffeee. I got a flat white at £1.90 and it was lovely – nicely creamy, only a little bitter with a nice kick which kept me going all afternoon. 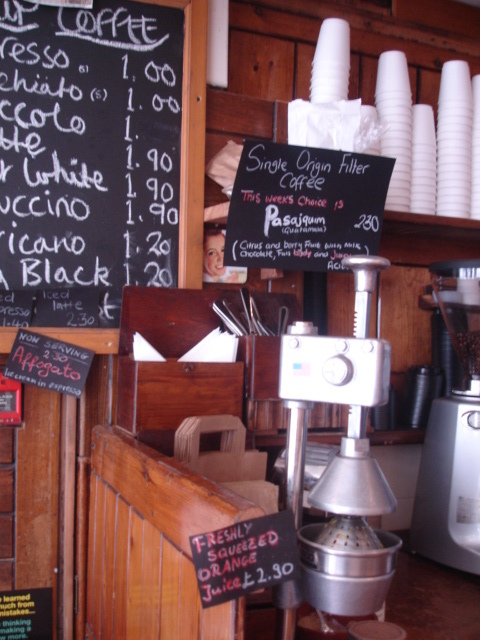 Also made me think why on earth people go to Starbucks et al when you can find a nice little coffee shop like this. I’m not a serious coffee drinker. Yes, I own a caffetiere and prefer coffee shops to chains, but I don’t know much about coffee – I couldn’t tell the difference between Italian and Columbian for example. But it’s a special treat for me – to start my day at the weekend, after a lovely dinner, on weekday afternoons filled with thoughts or gossip. I’m excited because this search is going to teach me loads about coffee – which as well as being one of life’s little pleasures, I’m hoping is an acquired taste. 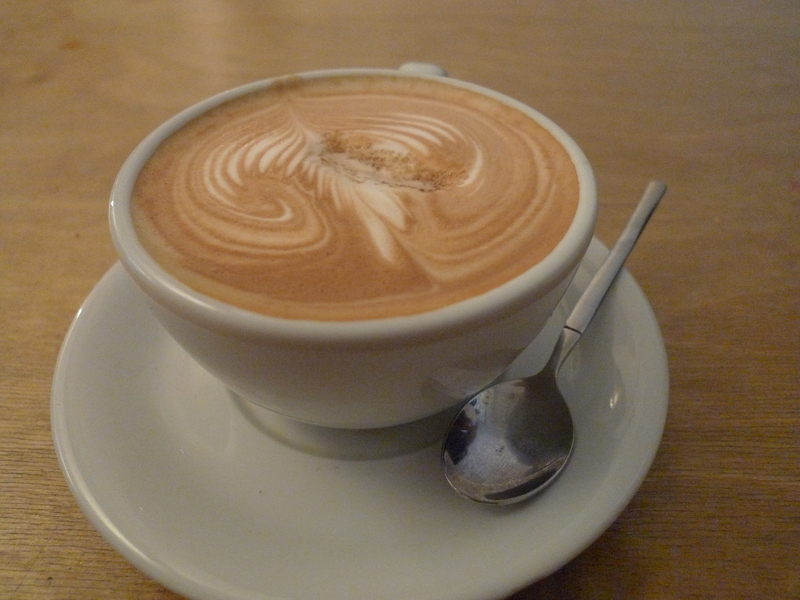 My request on twitter for decent coffee shops near Tottenham Court Road caused quite a flutter – it seems many of you are keen to ditch Starbucks and find a great local coffee place. We move at an incredibly fast pace in London and these places offer a slow, lingering, caffeine-laden respite from to-do-lists and multi-tasking. What a difference between grabbing a latte-to-go and being served at a table and invited to hang around. And what a difference in taste – bitter and deep and distinctive. 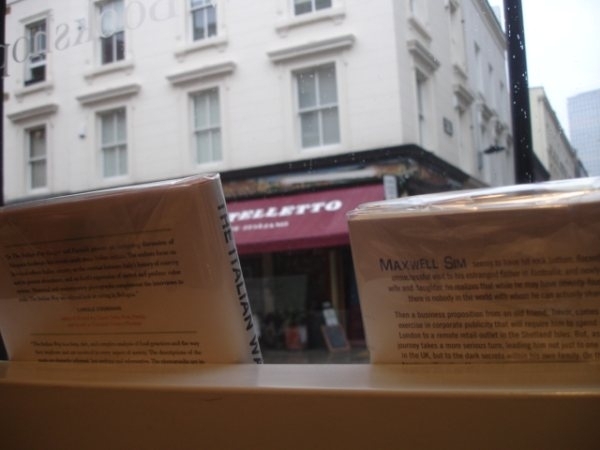 One of my favourite coffee shops ever was Massolit Books in Krakow, Poland – a dusty bookshop serving cakes and coffee, which begged you to stay there all afternoon. Any cafe in a bookshop gets double points from me and this was nice and relaxed. Felt like you could sit for much of the afternoon looking out onto the sunny central courtyard, reading books or chatting. Table service is slow and relaxed – slap on the wrists to me who bowled over to the counter to order. 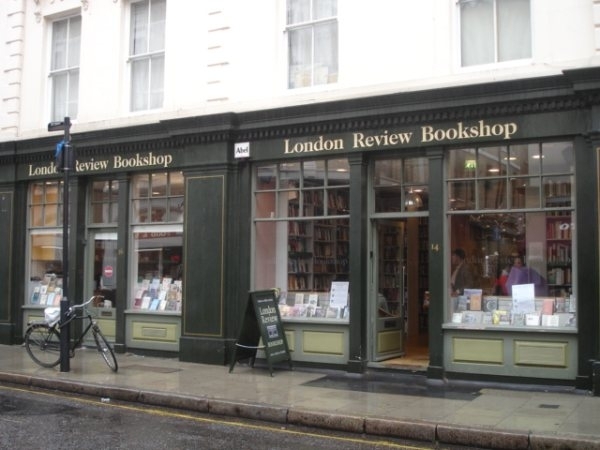 It was seriously calm in there – in fact a little too quiet for me and Pip who hadn’t seen each other in a while and were gassing away, but I suppose quiet is what a bookshop is all about. The coffee wasn’t too strong and was a little bitter but not too much. I got a little kick but wasn’t knocked sideways. I forgot to ask where the beans were from and what the milk was – mental note: I MUST do this from now on. 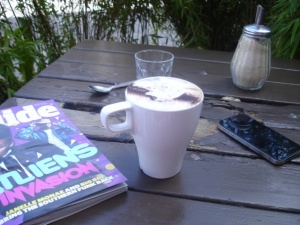 And I should probably take a photo of the actual coffee too. (My review of the coffee will get better as I learn more, I promise). All in all a cute little place for a snack and a coffee, and perusing the bookshop next door. Apparently they have lovely cakes, quiches and salads too – will try them soon.